A reader named Rafa asked last week in a comment on an article why agents do not qualify real estate buyers. 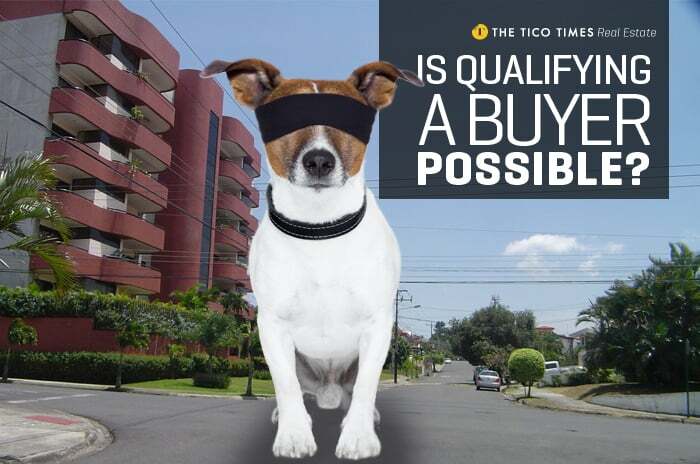 Is qualifying a Costa Rica property buyer really possible? Is Rafa correct in saying that real estate agents in Costa Rica will show a property to any buyer without qualifying that buyer? Yes, he is. And there are several reasons this happens. Let’s first explain who does what in most real estate markets. To qualify a real estate buyer is the process of determining whether a buyer is financially capable of purchasing a property for a certain amount of money, as well as finding out what exactly this buyer is looking for. In some countries residents and citizens have a credit score. In the U.S., three companies keep U.S. citizens’ and residents’ credit score: Experian, Equifax, and TransUnion. When someone tells a real estate agent that he or she is interested in buying a property, the first thing the agent will do is run a credit score check. That way, the agent will know what the client can afford to purchase. Banks and lending institutions also use this credit score to know if their client is creditworthy. Many other countries, including Costa Rica, don’t use the credit score system. A Costa Rica property buyer usually does not go to a bank to get qualified for a mortgage at first. Most buyers do not know what kind of property they can afford when shopping around because they are not familiar with the process. They do not call a real estate agent to guide them through the process either. They just start looking at whatever they think they want to purchase. Following the process, Costa Rica property buyers see an online ad or a sign on a property and just start looking at properties they like. When they call a real estate agent to see the property advertised, the buyer has probably not been pre-approved or even prequalified. Can the buyer afford to purchase that particular property? Does the buyer need to sell his own house first to be able to buy a new property? A professional real estate agent prefers a Costa Rica property buyer to be fully pre-approved by the lender. In the absence of a credit score, pre-approval can be quite a long process. To be pre-approved gives a buyer an advantage, as the pre-approval process can drag out a lot. It is recommendable that the buyer first shop around for the best fees and rates and get pre-approved by the lender. Once pre-approved, the qualification process by the real estate agent can start. Most real estate agents do not have any formal real estate training because there is no formal licensing in Costa Rica and because they do not work under a real estate broker. Most buyers, who are uneducated in the home-buying process, do not like to be questioned about their finances. They like even less to answer a list of questions sent by a real estate agent. Costa Rica property buyers generally do not stick to one agent. When an agent recommends they first talk to their lender about their budget, they are likely to disappear. This makes the qualifying of a buyer quite impossible. Banks and lenders are not used to working with real estate agents because the agents usually don’t get involved in the mortgage process. Some are just too lazy and others have no knowledge of the lending process. Their commission is paid by the seller, so any extra work they do to facilitate the mortgage process is not rewarded, except by making an easier closing possible. Banks and lending institutions in Costa Rica do not really have a prequalification system. It is possible for a buyer to be prequalified by supplying the credit officer an overall financial picture, including debt and income. This prequalification does not create any obligation to the lender without fulfilling the whole mortgage application process, including a credit analysis. This process is called pre-approval. To be prequalified by the lender gives the buyer an opportunity to look at properties he/she can afford without wasting everybody’s time. The internet offers huge advantages, like being able to look at properties without being seen by anyone. The fact that we don’t have a formal multiple listing service (MLS) in Costa Rica, where you can find every property for sale, isn’t much help either. Costa Rican real estate buyers do not customarily call for the assistance of a real estate agent. That is why it’s rare that buyers will work with just one real estate agent to walk them through the process. How long have you been looking at properties? Have you been working with a real estate agent or developer? Please supply names. Have you been prequalified or pre-approved by a lender? What is the name of the lender? Do you need to sell before you buy? Or do you need to complete the lease term on your rental? Will anyone else help you make the buying decision? How soon do you need to move? Have you picked a moving date already? Can you describe what your dream property would look like? How many bedrooms do you need? How much land? How much construction? What special requirements do you need in a property? Is there a location that you prefer? How many are in your family? Are schools important? Are there other amenities that are important to you? If I commit my time to find you the right property, will you buy it through me? What times are best for you to view properties? How do you like to communicate — by phone, text, WhatsApp, e-mail? What’s the best time to reach you? At what number? The need for a qualified Costa Rica property buyer is just one of the many reasons why I advocate for a more formal real estate market in Costa Rica. I would certainly welcome a formal MLS that obliges real estate agents to be trained and educated in their field. Eventually, buyers will understand that they can only gain when using the services of a well-trained real estate agent.